I have a bit of a love-hate relationship with my backpacks. I love to have them ordered so I can reach in a grab what I need when I need. I love to be able to have some of the small necessities (a large ‘just in case’ stock of Band-Aids) and a few comforts (plenty of moisturising lotion). I hate the weight that comes with all that and I hate having my shoulders and hips crushed by a harness. As strange as this will sound, my Osprey Ariel 55 Litre backpack was the first pack I had professionally fitted. And it was during the purchase process that I understood the benefits of the Ariel and how to ensure I had the perfect fit for me. Sadly, that was several years after I had begun serious hiking – better late than never I guess! So, what was it about the Ariel that makes it so great? Well the women’s sizing is an obvious benefit but the variable adjustment is the clincher. The Ariel features Osprey’s IsoForm5 harness and its Custom Fit hip belt which you can have moulded pacifically to you in store in the special Osprey oven or just let it mould to your body through wearing it. Both these features contribute to ensuring a great fit with heavy loads and over long distances. These components are both interchangeable to ensure a customised fit. The hip belt carries most of the load and this broad padded belt is very comfortable meaning that you don’t need up with buried hips unless you are carrying excessive loads. I have carried some big loads with this pack over long days and both it and I made it through! The Ariel has good sized pockets on the hip belt – big enough for snacks, lip balm, disinfecting gel, tissues and even my mobile phone! The internal casing is large and roomy so the biggest challenge with this pack is not to fill it up – you may end up very over weighted if you do. The pack can take a load between 15-27 kg and for me it works best at around 13 kg with 16 kg being my personal comfort maximum – heavier than that and I start to grumble…a lot! Just ask Tim. And there is lots of choice – two capacity sizes (65 and 55 litres), a variety of colours and three women’s sizes. I’d be really surprised if you can’t get the ‘just right’ combination with all those options! The base of the pack can be partitioned to separate your sleeping system from the rest of your gear. Also, the top lid is removable from the main pack and becomes a small carryall – or in Osprey’s language a DayLid – that you can load up with goodies for that short walk or side trek. This pack has no shortage of pockets. The large stretchy pocket on the back is ideal for holding rain gear and warm jackets. The two side pockets hold typical Nalgene style water bottles or other similar sized equipment. The Ariel has plenty of compression straps that allow you to cinch down the pack to a compact size. The Ariel also has an external bladder pocket which means removing and replacing your bladder is an easy task that doesn’t require you to pull everything out of your pack to top up your water. One other feature that I really like is the ‘stow on the go’ trekking pole storage which allows to to deploy/or put away the trekking poles without having to stop. I use this pack for hikes where I need a durable pack over longer periods or for when I’m carrying heavy loads– it was perfect for our 14-day hike on the Larapinta Trail. 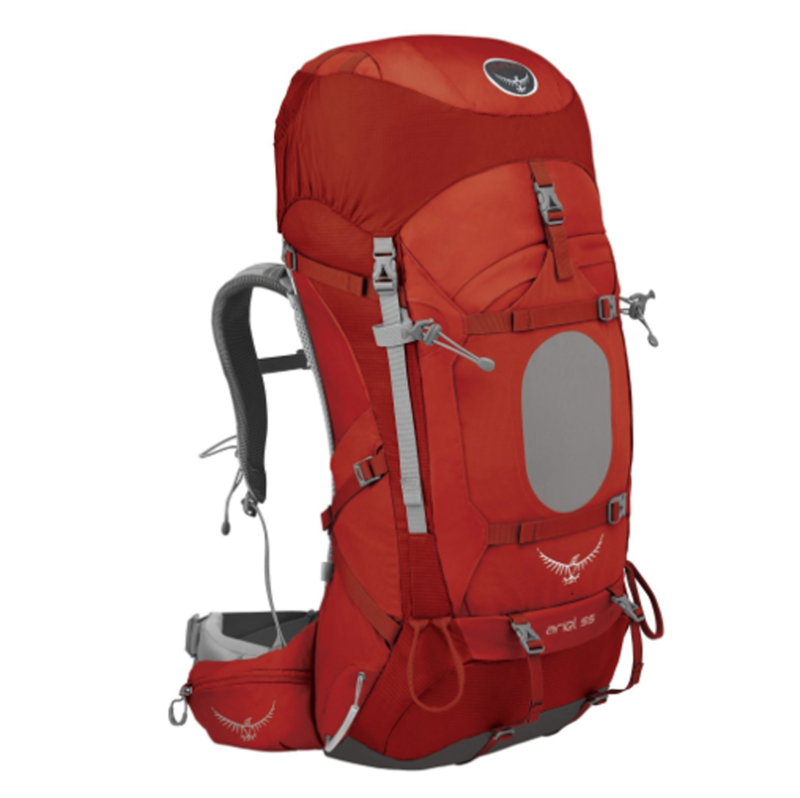 Osprey has updated the Ariel since my purchase a few years ago and the 2017 model is due for release in the coming months on the Australian market. 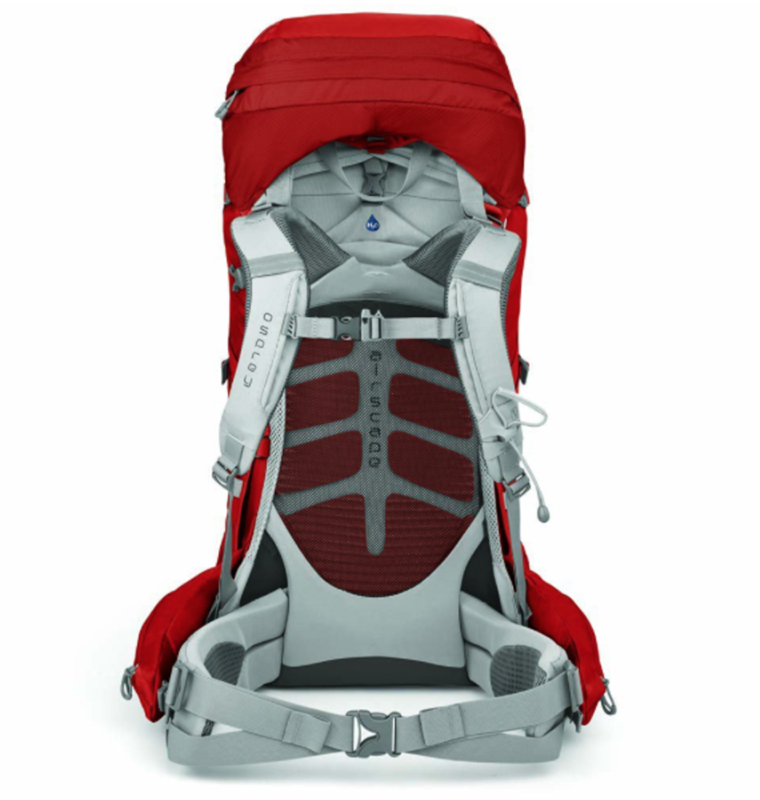 The new model will come with an Anti-Gravity harness seen on select models of the pack over the last few years. But it you want an excellent quality robust large volume pack then now is the time to take advantage of the close out sales as the Ariel can cost up to $370 AUD normally but can be found as cheap as $259AUD so now is the time to shop around. A range of colours to suit the fashion conscious hiker!